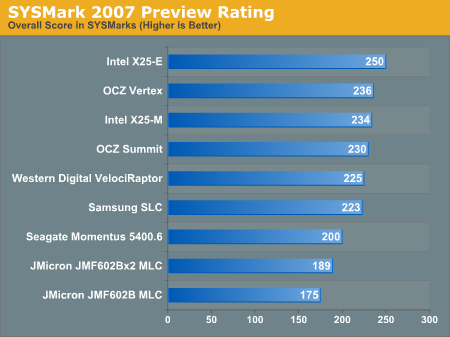 Our first test is the full SYSMark 2007 benchmark suite. 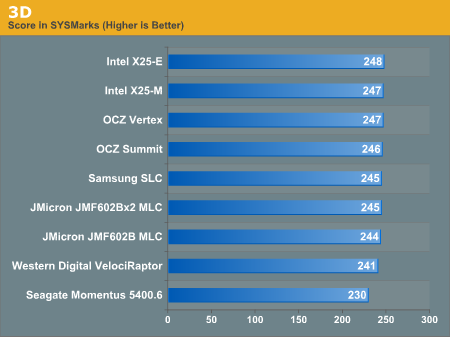 It's a system-level performance test that measures performance based on average response time, making it a great candidate for our SSDs, which should provide pretty low response times, at least compared to standard mechanical disks. 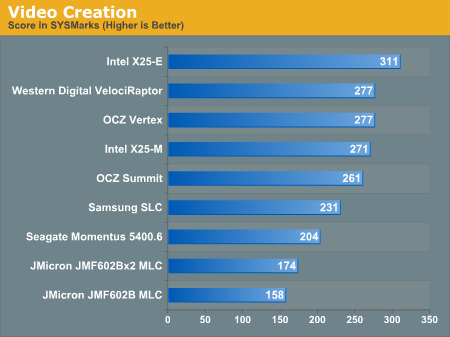 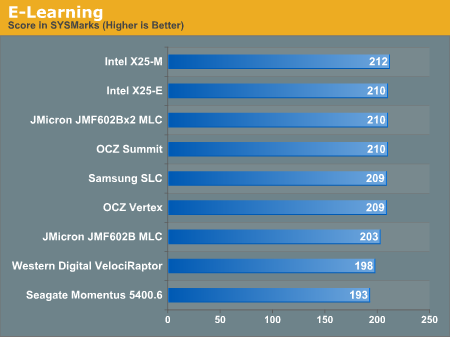 SYSMark is a better CPU test than a storage test, but it still shows that all of these SSDs are easily capable of delivering performance greater than or equal to the VelociRaptor. 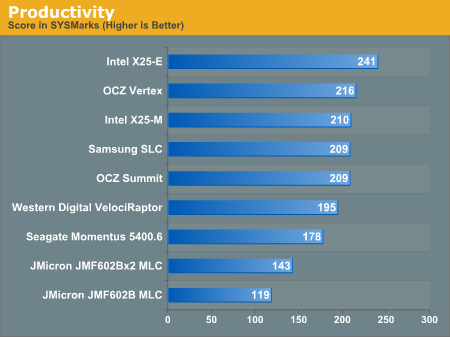 Note that the JMicron drives are both slower than the 5400RPM notebook hard drive in this test.